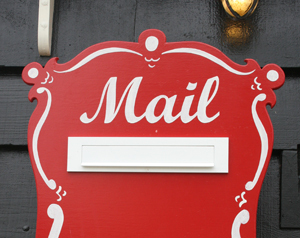 Study Results: What Makes You Open and Read Direct Mail? Every year since 2005 the researchers at Market Reach have been asking thousands of consumers the same question: “What makes you open and read direct mail?” The results for direct mail open rates from the latest edition of this ongoing study are fascinating in their own right, but combine those with the learnings we’ve added, and you’ve got a virtual playbook for how to launch a direct mail marketing effort that will leave your target market smiling, and your competitors reeling. Learning: You can’t rely on direct mail alone. You’ve got to build a name for yourself using other marketing mediums, as well (email, social media, signage, public relations, etc.). Learning: While you can’t know with certainty who is or isn’t interested in your product/service, you can target those who fit the demographics/psychographics of your typical customer. Learning: Discounts and special offers continue to be one of the most powerful ways to get consumers to take action. Learning: One of the great things about marketing postcards is that the consumer can see your special offer without having to open anything. Learning: Doing business with local businesses is a hot trend today. If you’re a local operator, always emphasize that fact in your marketing materials. Learning: Marketing postcards with intriguing, colorful graphics continue to be one of the best ways to grab the attention of prospective customers. Learning: People love to win things. Consider making your next mailing a contest of some sort. Learning: One of the best ways to differentiate your business from all the other similar businesses is to have a little fun with the marketing materials. Learning: The design of your mailer says a lot about your company. A professionally designed postcard will command far more respect than something cobbled together by your brother-in-law’s well-meaning nephew. Learning: The best envelopes are those that give an intriguing hint about what’s inside. Learning: Designers know what colors best complement each other (which is another reason to use a professionally designed mail piece). The most impressive finding of all: A whopping 80 percent of those surveyed say they still open and read marketing mail on a daily basis (so much for the theory that email and social media are the only ways to reach consumers today). For more information about our services, including real estate marketing products, check out our full list of marketing solutions.